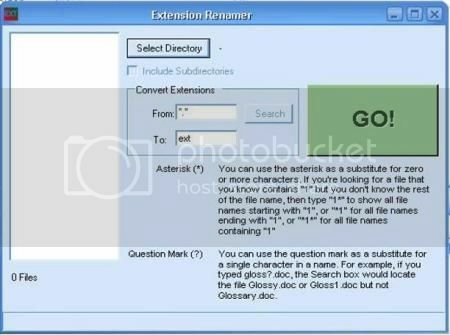 Extension Renamer is a freeware that allows you to rename multiple file extensions at once. This tools comes handy if you lots of files in a particular folder and you want to change them to some other extension. For instance, there are several .jpg files in a folder and you want to change their extension to .png. You don’t need to change them separately; you can rename all the file extensions at once with this tool. The tool is pretty easy to use. All you need to do is run the tool and select the directory. Now, in the below box select the “from” and “to” extensions and press GO. All the files will be converted instantly.